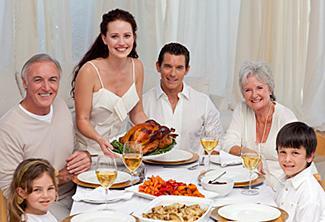 Thanksgiving is usually a time of delicious meals and friendly family gatherings. It also provides a perfect opportunity for staged and candid family photos that will capture the warmth of the day and the love of the family. Thanksgiving provides some unique moments that should be captured on film. Many families celebrate Thanksgiving with a lively flag football game or at least enthusiastically cheer on their favorite teams as they watch a game on TV. Capture this spirit in images by taking photos of the backyard game or the fans gathered around the tube. Other activities are also opportunities to capture great shots such as spontaneous rough housing with the kids and the young at heart, children running around the backyard or around the house, or even jumping into piles of fall leaves. Family members playing board games and kids doing crafts should all be recorded. Thanksgiving is about making special memories. Quiet talks in the corner, family members looking through old photo albums together, and hugs of greeting and goodbyes. It's nice to be able to capture these special moments in pictures. Keep the camera handy at all times because these quiet and special moments can't be recreated, but have to be captured as they happen. Use soft lighting for these quiet moments whenever possible. Candles and fire light are the perfect light sources for these special moments. Any time a group of loved-ones get together there are likely to be some humorous and memorable moments that should be captured. Snap a picture of Uncle John rubbing his full tummy or the dog who is chasing the cat around the room. The expressions on the subjects' faces as they react to a situation will tell a lot about what is happening in the scene and will create a great photo. Look for these special moments throughout the day as children play or as older family members talk about funny stories from years gone by. 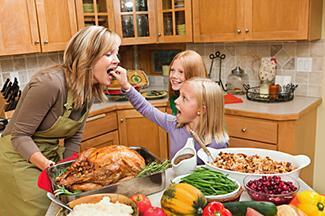 Almost every family has one or more traditions that they cherish and do every Thanksgiving. These traditions should be documented on film. 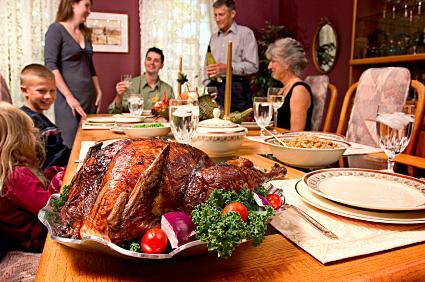 Take photos of the traditional dishes, the special centerpiece that makes an appearance on the Thanksgiving table every year, or the fireplace mantle that houses family photos. Some families have the head of the family carve the turkey and others give this honor to someone else each year. These moments should be recorded. Natural backgrounds are always nice, but if it is raining or too cold outside, as it often is during this time of the year, it might be best to have some other background options. Choose a space to take your family photos and prepare it ahead of time so you will be ready when guests arrive. Here are some ideas to choose and prepare your photo area. Taking photos outside often provide a nice background and good lighting, but there are some things that should be considered. 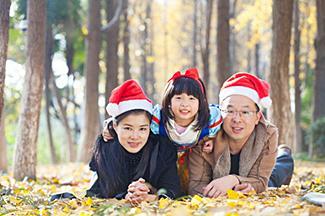 Advise subjects that the photo will be taken outdoors so they can dress accordingly and not be cold during the shoot. 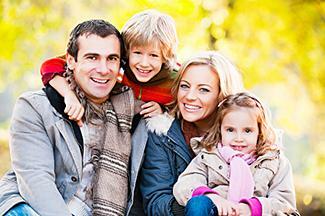 Consider wearing fall colored clothing or plan your wardrobe ahead of time with the rest of the family. One or two well placed and appropriate props can enhance a picture, but use them sparingly as they can sometimes make a scene too campy or "cheesy." Try some of these prop ideas for a tasteful photo. Create an area designated for photos, which can simply be a corner of a room equipped with a camera on a tripod. Provide Thanksgiving themed props such as pilgrim hats, rubber turkeys or general props like large bow ties that guests can wear and take pictures of one another throughout the festivities. Many families use their Thanksgiving family portraits on Christmas cards or holiday newsletters, while others like to keep a collection of Thanksgiving photos to view how the family has changed and grown over the years. To get the best possible images keep these tips in mind. After the photos have been taken and edited with photo editing software, it is time to display, distribute and enjoy the images. Be sure to make backup copies of all of your favorite digital images so that you don't lose them. It's important to share the digital files with all members of the family so they can use them on social media sites, their Christmas letters or cards or to create gifts. 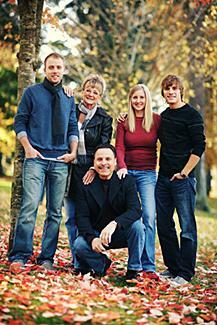 A family photo is a treasure that should be displayed and used. Be sure to capture the special moments of Thanksgiving and the whole season with family, but don't forget to enjoy the day yourself. Don't get so distracted with documenting the activities that it becomes a chore. Share the photography duties with other family members so that you can relax, and to ensure that you appear in some of the photos too!